Since Republicans were unable to repeal Obama's Affordable Care Act, Americans can expect substantially larger healthcare premiums in 2018, according to a recent report. 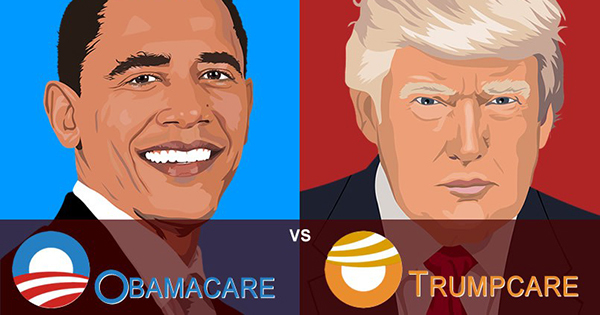 The report, released by the Congressional Budget Office, suggests that President Trump is slowing kill Obamacare with policies like withholding subsidies that were meant to help low-income citizens pay for their insurance. It's interesting to note how the President refers to the subsidies as "bailouts." His exact words in a July tweet were, "If a new HealthCare Bill is not approved quickly, BAILOUTS For Insurance Companies and BAILOUTS for Members of Congress will end very soon!" Killing Obamacare could result in premiums increasing up to 15 percent and a rise in the number of uninsured people by 2 million between 2017 and 2018. By 2026, the report predicts the number of people uninsured will increase by 3 million. Seeing the handwriting on the wall, some insurance carriers are offering insurance programs in areas of the country who do not have an ACA insurance carrier. Anthem, for example, recently announced it will sell insurance plans in Virginia. Obamacare premiums are expected to be lower in 2019 than they will be in 2018. This raises many questions in the minds of Americans as to why Trump is deliberately trying to kill a healthcare program that is insuring more people at a price that is predicted to go down. Is it simply because Republicans want a healthcare program with their name on it? Who has the backs of all minorities and low-income Americans who only want affordable health insurance, regardless of what the government calls it? Some Americans have already spoken: "Get Your Hands Off My Healthcare!"